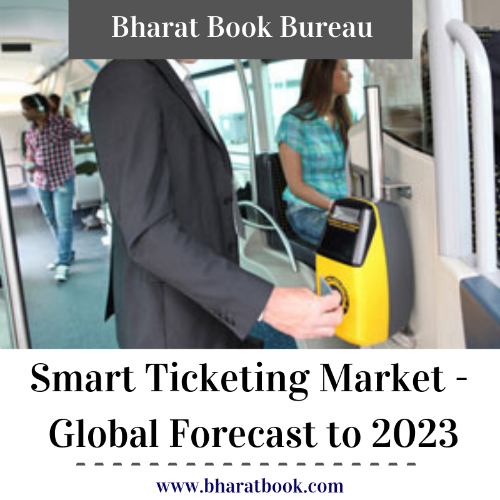 Bharat Book Bureau Provides the Trending Market Research Report on “Smart Ticketing Market by Offering (Hardware, Software and Services), Application (Transportation (Roadways, Railways, Airways), Sports & Entertainment), Revenue Channel, Connectivity, and Geography - Global Forecast to 2023”under Consumer Goods Category. The report offers a collection of superior market research, market analysis, competitive intelligence and Market reports. The smart ticketing market is projected to reach USD 20.4 billion by 2023 from USD 10.1 billion by 2018, at a CAGR of 14.99%. Major drivers for market growth are the affordable access to rapid transit with the help of smart transit systems, huge demand for smart ticketing from travel and tourism industry, advanced technologies in the smart ticketing systems, and upsurge in intelligent transportation market. However, the high setup cost and centralized framework for smart ticketing systems are the factors expected to restrict the growth of the said market.